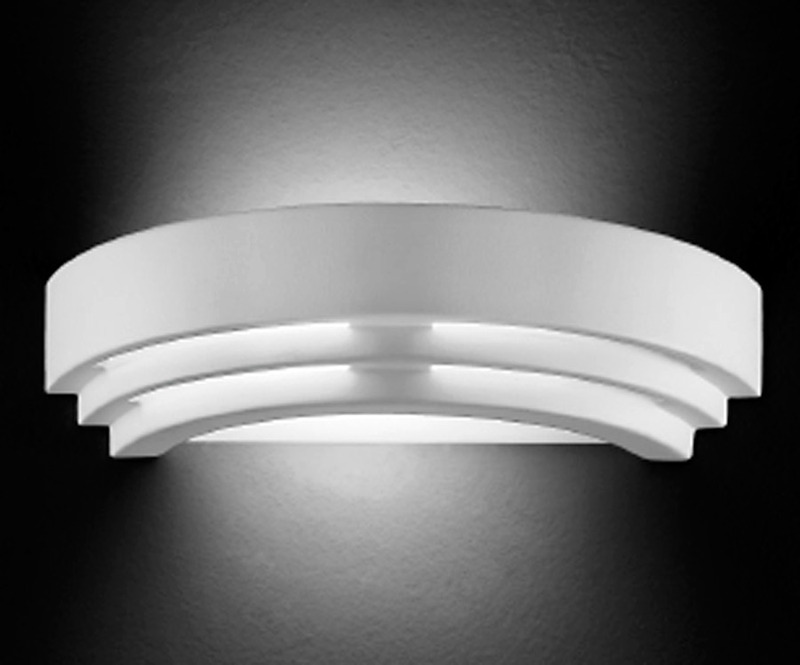 From the Franklite ceramic wall lighting range. Beautiful tiered ceramic wall washer in a curved stepped moulding, with a glass panel in the base to allow light to spill down the wall. Can be left in its natural finish or painted if required. This wall light fixture would look fantastic in an Art Deco themed room style or in a traditional setting. Ideal for use with a low energy spiral lamp.